A native of Mingo Junction in the industrial Ohio River Valley, Smith shares in the book his memories of youth in Ohio’s Appalachian country where his father was a brakeman on the railroads of Weirton Steel. The book follows Smith and his wife, Ann, as they move North to teach in Euclid, Ohio, then onto Kent State, and finally resting in Huron at BGSU Firelands. 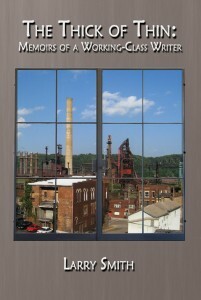 “Larry Smith’s strikingly lucid and complete memoir has a deep and strong focus upon bringing forward the experience of Midwest Ohioan mill town working-class life. 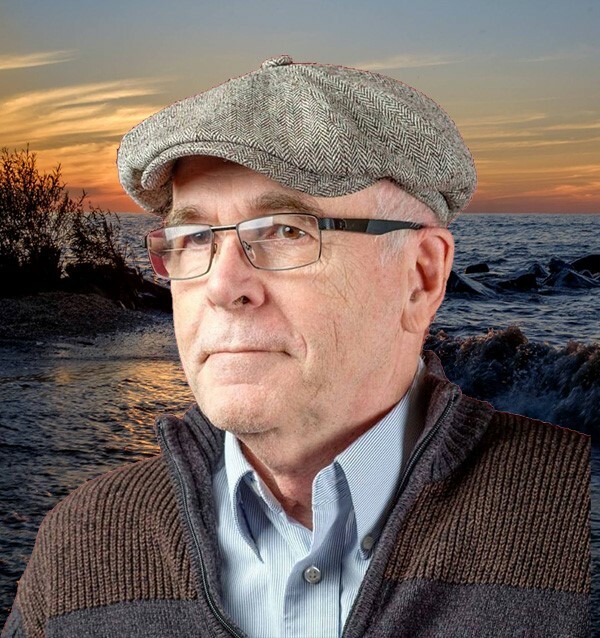 His writing moves with great energy, directness, honesty, clarity, and empathy touching upon family, townspeople, and others, but also upon nature, in the sense of experiencing the oneness of self and place,” said fellow author Ingrid Swanberg. Smith taught at Bowling Green State University’s Firelands College from 1970 to 2012 and was the founder of the College’s Firelands Writing Center. He was the first poet laureate of Huron, Ohio, and is a founder and director of Bottom Dog Press. He is the author of eight books of poetry, a previous memoir, five books of fiction, and two biographies. Smith has received fellowships from the Ohio Arts Council and the National Endowment for the Humanities and was a Fulbright Lecturer in Italy. His photo history of Mingo Junction appeared in the Images of America Series. He and his wife, Ann, live along the sandy shores of Lake Erie in Huron, Ohio, and are the parents of three adult children and they have eight grandchildren. The 236 page memoir “The Thick of Thin” is published through Bottom Dog Press and marks the 200th book for the prolific publishing house. The book is available at bookstores and online in paperback, hardcover, and e-book format. A series of talks and book signings is planned for libraries, colleges, and bookstores in Ohio, Michigan, West Virginia, and Pennsylvania. On Saturday, May 13, at 2 p.m., Smith is planning a book party and signing during the Coffeehouse Reading Series held at Mr. Smith’s Coffee House, 140 Columbus Avenue, Sandusky. He will also read on May 20, at 5 p.m., at Mac’s Backs on Coventry, 1820 Coventry Road, Cleveland Heights.